Finca Calamay is a Finca Hacienda Resort With an Extension of ( 24 ac) (30,951 ft2 ) located in San Sebastian De Mariquita Tolima Colombia ( South America ) . The Hacienda is sorrounded by all kinds of fruit trees like mangos mangas,pineapples,lemmons,bananas, mangostinos, papayas 2 rivers 1 lake and plenty of water to grow fish ( cachama and mojarra ) . And is visited from people all over the world as well as local tourists. The Mutis route is a fascinating journey based around the Magdalena valley. During this fieldtrip, we will learn about many different aspects of Colombian history, such as the creation of the railway, commercial activities along the Magdalena River and the lifestyle of the first inhabitants of our country in the 18th and 19th centuries. The Mutis Route allows students to find out about the traditional architecture of this period as well as learning about momentous events such as the Armero catastrophe. Finally, we will find out about the type of botanical work carried out by José Celestino Mutis during the Royal Botanical Expedition in the New Kingdom of Granada. We will also get to know the places where Mutis collected many of his botanical samples and will learn how botanical scientists collect their plant materials as well as the importance of collecting samples as a tool for building scientific knowledge. 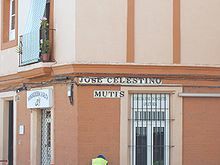 He was born in Cádiz and baptized with the name José Celestino Bruno Mutis y Bosio. He began his medical studies at the College of Surgery in Cádiz, where he also studied physics, chemistry and botany. He graduated in medicine from the University of Seville on May 2, 1755. On July 5, 1757 he received his doctorate in medicine. From 1757 to 1760 he was interim professor of anatomy in Madrid. During those same years he continued to study botany at the Migas Calientes Botanical Gardens (now the Real Jardín Botánico de Madrid), and also astronomy and philosopher mathematics. After three years he decided to leave for America, as the private physician of the new viceroy of New Granada, Pedro Messía de la Cerda. He sailed on September 7, 1760, arriving at Santa Fe de Bogotá on February 24, 1761. During the long transatlantic passage he began writing his Diario de Observaciones, which he continued until 1791. From his arrival in the Viceroyalty, Mutis concentrated on his botanical studies, beginning work on an herbal and investigating for cinchona, which was considered a panacea for the treatment of all kinds of diseases. He wrote El Arcano de la Quina. Beginning in 1763, Mutis proposed to the king that he sponsor an expedition to study the flora and fauna of the region. He had to wait 20 years for the authorization, but in 1783 the king authorized his expedition (one of three royal botanical expeditions to the New World at about that time). In the interim, Mutis concentrated on commercial and mineralogical projects, not neglecting medicine. He also studied the social and economic conditions of the viceroyalty, and continued to expand his collection of flora and fauna. On December 19, 1772 he was ordained a priest. He was in regular correspondence with scientists in Spain and elsewhere in Europe, particularly Carolus Linnaeus. Mutis led the Royal Botanical Expedition, established in 1783, for 25 years. It explored some 8,000 km2 in a range of climates, using the Río Magdalena for access to the interior. He developed a meticulous methodology that included the harvesting of the samples in the field together with detailed descriptions, including data on the surroundings of each species and its utility. Hundreds of plants were discovered and described. More than 8,000 plates, plus maps, correspondence, notes and manuscripts were sent to Spain. His museum consisted of 24,000 dried plants, 5,000 drawings of plants by his pupils, and a collection of woods, shells, resins, minerals, and skins. These treasures arrived safely at Madrid in 105 boxes, and the plants, manuscripts, and drawings were sent to the botanical gardens, where they were relegated to a tool-house. The Royal Botanical Expedition headquarters moved in two different occasions. Initially it was based on the municipality of La Mesa de Juan Diaz (Department of Cundinamarca), then in November 1783 it was moved to Mariquita (Department of Tolima). Finally in 1791 it was moved to Santa Fe de Bogota. 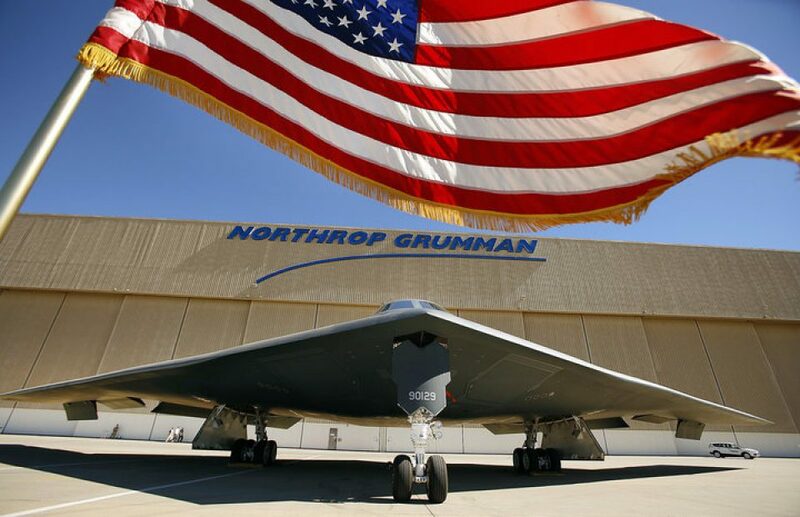 Much of the work was wasted because the results remained unedited and unanalyzed. Also, the collation between the notes and the plates was lost during the transfer to Spain. His work on the species and varieties of Chinchona had lasting influence. He determined the longitude of Bogotá by the observation of an eclipse of a satellite of Jupiter and was a major influence on the construction of the National Astronomical Observatory. In March 1762, at the inauguration of the chair of mathematics at the Colegio del Rosario, he expounded the principles of the Copernican system and of the experimental method of science, leading to a confrontation with the church. In 1774 he had to defend the teaching of the principles of Copernicus, as well as natural philosophy and modern, Newtonian physics and mathematics, before the Inquisition. In 1784, he was elected a foreign member of the Royal Swedish Academy of Sciences. Alexander von Humboldt visited Mutis in 1801, during his expedition to America. Humboldt stayed with Mutis for two months, and greatly admired his botanical collection. Mutis died in Bogotá on September 2, 1808, at age 76, a victim of apoplexy. Because much of his botanical work was lost or unpublished, he is known to history not as a great scientist, but as a great promoter of science and knowledge. Botany: He studied the flora of his surroundings, and produced a marvelous collection of plates of Colombian plants that are now located in the Royal Botanical Garden in Madrid. Linguistics: He studied the indigenous languages of the area. By order of King Charles III, he developed a series of elementary vocabularies of various languages (about 100 words in each language). King Charles was responding to a request from Tsarina Catherine the Great to provide vocabularies of all the languages spoken in his realms, in order to develop a monumental dictionary of all the languages of the world. The dictionary was in fact published, but the compilers published it in alphabetical order, making it nearly impossible to consult. Other sciences, including important contributions to industrial processes, like silver mining and the distillation of rum. His likeness is well known to Spaniards, because his image was used on the old banknotes of 2,000 pesetas. This was the first in a series of banknotes commemorating Spain in America. On the reverse was a drawing of the Mutisia orchid, named in his honor. José Celestino Mutis Botanical Gardens, a park and center of scientific investigation, is named in his honor in Bogotá. It includes climate-controlled exhibits of the flora in all climate zones of Colombia. There is also an exhibit of 5,000 Colombian orchids, one of Colombia’s most extensive. The official name of the town of Bahia Solano on Colombia’s Pacific coast in the Department of Choco is Puerto Mutis, in honor of Jose Celestino Mutis. The airport there is Aeropuerto Jose Celestino Mutis, as well. This town is located north of the city of Buenaventura and north of the San Juan River, the largest river in South America to empty into the Pacific Ocean. The four expeditions authorized by King Charles III to the Spanish colonies were those of Hipólito Ruiz López and José Antonio Pavón to Peru and Chile (1777–88); Mutis to New Granada (1783–1808); Juan de Cuéllar to the Philippines (1786–97); and Martín Sessé y Lacasta to New Spain (1787–1803). The Nevado del Ruiz (Spanish pronunciation: [neβaðo ðel ˈrwis]), also known as La Mesa de Herveo (English: Mesa of Herveo (the nearby town)), or Kumanday in the language of the local pre-Columbianindigenous people, is a volcano located on the border of thedepartments of Caldas and Tolima in Colombia, about 129 kilometers (80 mi) west of the capital city Bogotá. It is a stratovolcano, composed of many layers of lava alternating with hardened volcanic ash and otherpyroclastic rocks. Nevado del Ruiz has been active for about two million years, since the early Pleistocene or late Pliocene epoch, with three major eruptive periods. The current volcanic cone formed during the present eruptive period, which began 150 thousand years ago. The volcano usually generates Plinian eruptions, which produce swift-moving currents of hot gas and rock called pyroclastic flows. These eruptions often cause massive lahars (mud and debris flows), which pose a threat to human life and the environment. The impact of such an eruption is increased as the hot gas and lava melts the mountain’s snowcap, adding large quantities of water to the flow. On November 13, 1985, a small eruption produced an enormous lahar that buried and destroyed the town of Armero in Tolima, causing an estimated 25,000 deaths. This event later became known as the Armero tragedy—the deadliest lahar in recorded history. Similar but less deadly incidents occurred in 1595 and 1845, consisting of a small explosive eruption followed by a large lahar. The volcano is part of Los Nevados National Natural Park, which also contains several other volcanoes. The summit of Nevado del Ruiz is covered by large glaciers, although these have retreated significantly since 1985 because of global warming. The volcano continues to pose a threat to the nearby towns and villages, and it is estimated that up to 500,000 people could be at risk from lahars from future eruptions. Beginning November 1984, geologists observed an increasing level of seismic activity near Nevado del Ruiz. Other signs of a forthcoming eruption included increased fumarole activity, deposition of sulfur on the summit of the volcano, and smallphreatic eruptions. In the latter, hot magma came in contact with water, resulting in explosions as the water was almost instantly turned into steam. The most notable of these events was an ash ejection on September 11, 1985. The activity of the volcano decreased in October 1985. The most likely explanation of the events is that new magma rose into the volcanic edifice before September 1985. An Italian volcanological mission analyzed gas samples from fumaroles along the Arenas crater floor and proved them to be a mixture of carbon dioxide and sulfur dioxide, indicating a direct release of magma into the surface environment. The mission’s report, delivered on October 22, 1985, judged the risk of lahars to be very high. The report proposed various simple preparedness techniques to local authorities. In November 1985, volcanic activity once again increased as magma neared the surface. The volcano began releasing increasing quantities of gases rich in sulfur dioxide and elementary sulfur. The water content of the fumaroles’ gases decreased, and water springs in the vicinity of Nevado del Ruiz became enriched in magnesium, calcium and potassium, which were leached from the magma. The thermodynamic equilibration (stationary heat energy) temperatures, corresponding to the chemical composition of the discharged gases, were from 200 °C (400 °F) to 600 °C (1,000 °F). The extensive degassing of the magma caused pressure to build up inside the volcano, which eventually resulted in the explosive eruption. Immersion Programs are encouraged in several states by state adoption of English-only legislation. In this program, the classes and related textare primarily in English. Children with very low English proficiency are put in ESL (English-as-a-Second-Language) classes (see Gersten, 1985; Rossell & Baker, 1996). There are two kinds of immersion programs: “submersion” or “structured”. The first kind is also called “sink or swim” because it does not provide any kind of aid for the children to learn English. Structured English immersion helps the students with better-planed classes focusing on building their vocabulary. It also uses direct and intense instructions to help them learn the language faster and be able to join the regular classes. On the other hand, most immersion programs are only focused on developing English-language proficiency through direct contact with the language. They are not so concerned about how well the students are learning the material. Their goal is to have a homogenous group of students being taught in English. This approach does not include teaching ELL’s children to maintain their cultural and linguistic heritage. The purpose of these English only programs is to immerse the students in the American way of life starting with the language. Educators believe that by doing this the students will assimilate the culture and the language faster. All of the students are taught as if they have the same background and values. In reality, most classrooms in areas where the number of immigrants is large have a variety of different cultures and nationalities all together in one classroom. Students enrolled in these programs are expected to learn English as best as they can with the few resources that are available for them. What happens most of the time is that some students are not able to keep up with the majority of the class and lose their motivation. Some drop out of school while others graduate with very low grades and even lower chances of having a good future.